Liking, sharing, friending, going viral: what would it mean to recognize these current modes of media interaction as promiscuous? In a contemporary network culture characterized by a proliferation of new forms of intimate mediated sociality, this book argues that promiscuity is a new standard of user engagement. Intimate relations among media users and between users and their media are increasingly structured by an entrepreneurial logic and put to work for the economic interests of media corporations. But these multiple intimacies can also be understood as technologies of promiscuous desire serving both to liberalize mediated social connection and to contain it within normative frames of value. 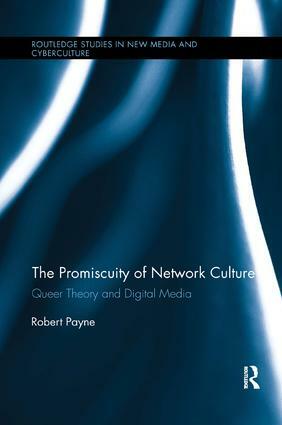 Payne brings crucial questions of gender, sexuality, intimacy, and attention back into conversation with recent thinking on network culture and social media, identifying the queer undercurrents of these current media dynamics. Robert Payne is Assistant Professor of Global Communications at the American University of Paris, France.